Note: This article is an op-ed (opinion-editorial), which means it solely represents the views of the author and NOT the organization of GosuGamers as a whole. Several months ago, I wrote an article on Communication in Dota that focused on the various methods with which we can effectively communicate in Dota 2, a game which is heavily focused on team-based strategy and cooperation. However, I did not cover some crucial facets of the topic that are very well-known, not just in Dota 2, but online gaming as a whole. There have been several recent controversies surrounding language, racism, sexism, and discussions around punishments and severities thereof, in the esports community and Dota 2 specifically. I feel it is important to have ethical, rational discourse on the subject and search for the objective truth behind what causes this behavior, what the penalty should be, who gets to decide it, and how people can be effectively guided to become better individuals. Anyone who has dabbled even a little in online gaming is no stranger to toxicity via both verbal and non-verbal communication, especially in MOBAs like Dota 2. Online gaming, much like the internet in general, has two things in common that causes people to blurt out their thoughts without hesitation: Anonymity and an Audience. This is especially true for online gaming because unlike social media platforms such as Twitter or Facebook, people almost always use aliases in online games. Even the biggest and most well-known esports athletes are known by their alternate ID despite their real name and identity being general knowledge, however, I will get to that specifically in the next segment. Dota 2 is a team game, and the outcome of a game depends on the actions of each player, most importantly on whether these individuals decide to perform as a cohesive unit or not. However, not every member of the team wants to be cooperative, and that often leads to frustration and blame games. It is one of the many factors that make Dota 2 such a hard game. Because it requires more than just technical prowess, the know-how of the meta and intricate details of the mechanics of the game to win. It takes a calm, communicative and respectful person to function as a team player, especially at the highest levels of the sport. The fact that players can be anonymous online and have an audience to witness their antics with the added frustration of trying to succeed in a competitive atmosphere where everything is not under your control fosters vehement and demeaning speech. It manifests itself into all other kinds of toxic behavior that ruin the experience of the game for others, something I'm sure no one is a stranger to. This brings me to the problem of why controversies have been erupting recently, creating unrest within communities of all kinds. People that play certain games as a profession are celebrities in their own right. They are at the pinnacle of achieving what many struggle and only dream to have. As some of the best in the field, they influence a large percentage of the community. Most of these people in the community are young/underage, and sometimes, so are the professional players, celebrities and notable individuals. The influence of these individuals on the masses is immense. They follow their every move, every strategy, every gesture and every word to try to be who they admire. Sometimes it's actually what makes a player great, and sometimes it could actually be a negative characteristic of theirs. But as was once wisely said: "With great power, comes great responsibility". And although this line may be overused and somewhat cheesy, it has a lot of truth to it. As gamers become more successful, gather a wider audience, and climb the hierarchy of achievement to be recognized by millions of people, they hold great power with them that isn't immediately realized. One of the core problems is, that these professional gamers are not fully developed and responsible adults by the time they gain widespread attention and popularity because of their competence in the one thing that separates them from the rest. They rightfully deserve the respect and admiration they gain for their skill and hard work. However, it is by no means the sign of a well-rounded individual who is aware of the many relevant issues in the world or knows what separates an adult from a child. We see this all the time, not just in esports but in every imaginable industry. The younger a person reaches the pinnacle of success, the more outrageous and irrational their behavior and faster is their downfall. It is my firm belief that a person must be regarded, assessed and treated as an individual before associating him/her as a member of a larger group, ethnicity, culture or community. One of the most important markers of individual skill and talent in the game is Solo MMR (matchmaking rating) or as it is now depicted in the form of medals and ranks. It is the key marker that determines whether a player is competent enough to enter professional play, and is one of the most critical factors that teams take into consideration when recruiting new and unknown players to the team. 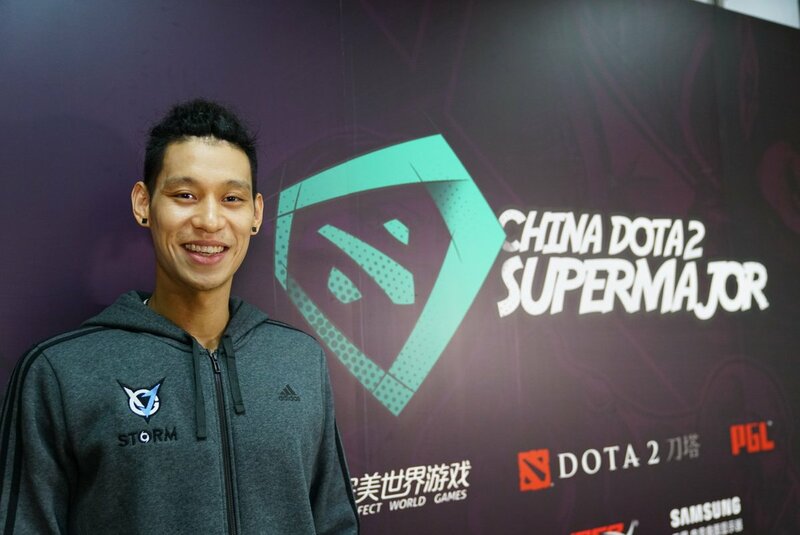 Jeremy Lin, owner of the team J.Storm once said: "One player could easily ruin a game, and one player could easily save a game." The reason I bring this up is, that although there has been healthy, casual competition between regions of different backgrounds like the "East vs West" trend at The International, certain people tend to take it too far. Teams in every one of the six major regions have had or have players from different countries coming together and putting their individual talent in the mix. They may be a part of the team, but they only made it one because they put their differences aside and focused on their individual contribution to what was required of the team. Prejudiced people will always use the group of a person as the primary marker of a person's identity, rather than their unique characteristics and accomplishments. However, retaliating with arguments that posit the upside of the group, defeats the purpose and only ignores what the individual brings to the table in such a diverse world. The accomplishments of players winning a tournament like The International should first and foremost be attributed to the individual talent and personality of each player before considering what ethnic or socio-economic background they come from. When it comes to even more sensitive topics, such as the recent case where players were banned from competing at the upcoming Chongqing Major due to the use of inflammatory speech, the situation should be investigated and analyzed much more carefully. First, and most importantly, the use of hateful speech should not be excused or retaliated with similar examples on the other side to "rationalize" the behavior. Every case should be attributed on an individual basis. The fault, responsibility, and process of punishment and reparation should start at the most basic level, incrementing to higher authority only when the former fails. Individual: First, the individual must take responsibility for one's actions and attempt to rectify the damage caused. This takes time, as self-reflection and conscious analysis can help understand where the person was wrong, what steps must to taken to rectify the harm done and become a better individual in the process. Team: In this case, and in most others, the player is a part of the team. As a part of a cohesive unit, it is the responsibility of every member of the team to help each other understand their shortcomings and irrational behavior. Professional teams in any sport are very close, much like family, hence they should all guide each other to be better, not just within the game, but outside it as well. Organization: When, or if, the process fails at the basic level, only then must the organization take action to parent the team as a unit, and especially the individual at fault. In reality, it is the organization that often steps in first and attempts to make amends in haste, with the sole purpose of maintaining public relations. When the government of a country decides to take matters into their own hands before, or even after, the issue has been dealt with on a basic level, it gets blown out of proportion and we start moving backward. And as many have argued as to why esports should even be considered a "real sport" when it can stand on its own and be recognized as something unique and beautiful, problems like these begin to prove why. Visas and the ability of players to travel freely to countries where they intend to compete are an international matter. And if a professional from traditional sports were to face the same harsh penalties as Dota 2 players did recently, it would be global news. Regardless of the severity of the action or the scenario that it takes place it, taking actions on the whim of the mob will almost always result in disastrous results. The way that mob mentality works, is that it doesn't have one sole representative to express the collective opinion of the large population. Therefore, no one takes responsibility for punishments that may be doled out at the "request of the community". And those against the opinions of the vocal majority will never be comfortable to oppose them and express their opinions in fear of being labeled as supporters of the incriminated. Going so far as to ban players or teams from an entire region or country takes things too far, and the English-speaking community has been vocal enough on how unreasonable the step was. There is no denying that prejudice, hate, and abhorrent behavior exist in this world. We see it in all forms such as physical violence, verbal insults to more malicious behavior. However, the fundamental core of freedom of speech, that is common regardless of our ethnicity or whether it was in our constitution is that we get to say what we want to say in public. This doesn't just apply to legal matters where people may be criminally penalized under the law. The right to speak one's mind is one of the basic necessities of a human being and is a deep truth every person feels and knows to be right, regardless of their religion or the country they were born in. You let those who wish to utter hateful things do so, and let everyone hear them. Because that's the best way to ensure that what they're saying is understood and rejected. Despite this, there are some restrictions around speech, minimal at the least, restricting that which may actually incite violence. It is only because the community in Dota 2 is such a free-flowing channel of ideas and thoughts that we can spot out racists, sexists, xenophobes and the like. And it only becomes a matter of crucial importance when, as mentioned before, someone influential and popular begins to behave in such a manner. It's no surprise when players tend to claim they have the "right" to something in the game. They "deserve" a certain role, certain hero pick, certain assistance or certain level of respect. However, it is one of the major aspects that separates amateurs from professionals. Every professional team looks at issues and causes for loss as a collective effort or collective mistake. That's why they improve together as one unit rather than five elements with conflicting opinions and ideas. This is also true for a large number of players at the highest ranks in Dota 2. Despite outside influences and faults on the team, their approach is to always ask the question "What did I do wrong?" or "What could I have done better?". This same ideology can be applied to situations where we come across toxic and unproductive speech and behavior while playing the game. There are some who are actually prejudiced against certain communities and groups of people and are clearly hateful towards them. Then, there are provocateurs whose only intention is to get a rise out of you, make you lose your cool and behave irrationally. Why should people have the right not to be offended by them? Remember, a large majority of the online gaming community is underage, or young. They have not yet taken on the responsibilities of an adult or shaped themselves as individuals. It is always better to look to yourself first, find your faults, improve your capacity to handle tough situations and be resilient. After all, what doesn't kill you, only makes you stronger. Thank you for reading. You are welcome to express your thoughts, opinions, and counterarguments in the comments below. I request you to be rational and ethical in order to have a meaningful and civilized conversation. How should toxicity in text/voice communication be dealt with in online gaming?